RURAL PROPERTY, NEW CONSTRUCTION, CLOSE TO TOWN! THIS WONT LAST LONG! 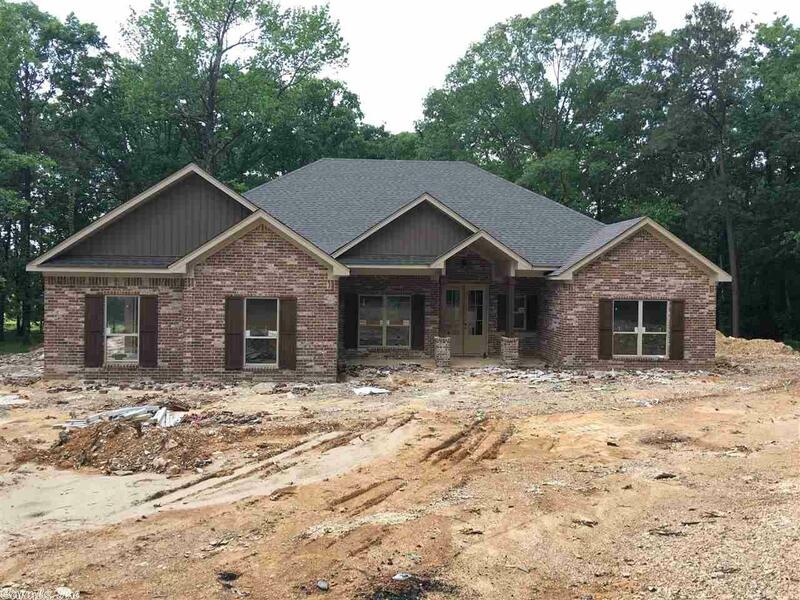 THIS 2500 SQ FT HOME OFFERS 4BR/2 1/2 BA, SPLIT BDRM FLOORPLAN, GRTRM ROCK W/WOOD BURNING FIREPLACE, LIVING RM OPEN TO KITCHEN W/ LARGE ISLAND, LAUNDRY RM , GRANITE CNTRTOPS THROUGHOUT, HARDWOODS, TILE IN WET AREAS, LARGE MASTER BATH W/SOAKER TUB, SEPARATE SHOWER & WALK-IN CLOSETS, CROWN MOLDING EVERYWHERE, PRIVACY, STORM SHELTER, OUTDOOR SEPERATE PATIO. BRYANT SCHOOLS & MUCH MORE!!! Please measure to determine square footage accuracy.